Easy and inexpensive activities for kids do it for me every time. 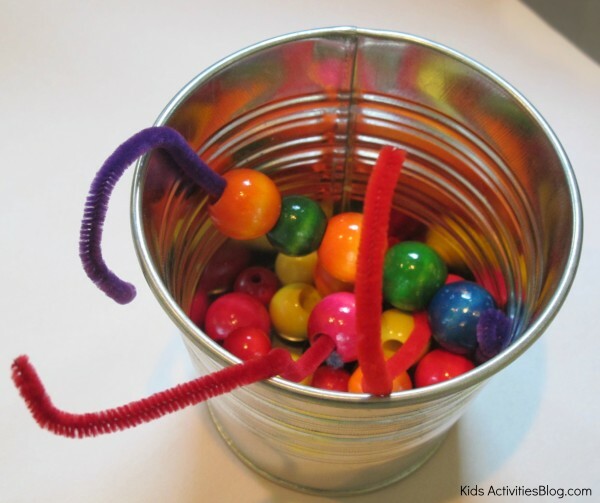 For this activity, all you need are pipe cleaners and beads. I picked up these gorgeous and colorful various sized beads from JoAnn Fabrics months ago for a very reasonable price. The pipe cleaners we had in our supply closet and the small pot I purchased at Ikea for a ridiculously low price.